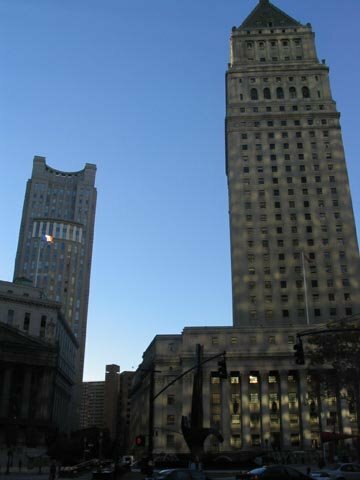 During the clean-up at Ground Zero in 2001, somebody discovered a 17-foot high column and cross-beam that looked like a Latin cross. That artifact is now displayed at the National September 11 museum as The Cross at Ground Zero. That Cross is now the subject of a constitutional challenge by a national atheist group. 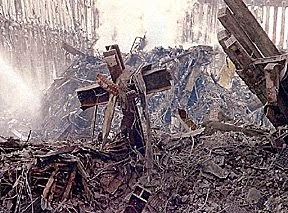 American Atheists contend that the Port Authority and the Foundation impermissibly promote Christianity in violation of the Establishment Clause and deny atheists equal protection of the laws by displaying The Cross at Ground Zero in the Museum unaccompanied by some item acknowledging that atheists were among the victims and rescuers on September 11. A similar analysis governs whether the Museum features the Cross for secular or religious reasons. An objective observer who is familiar with the whole story would perceive this as a non-religious display, i.e., one that accurately depicts the Ground Zero cleanup. The observer would know that the absence of any reference to “atheists” in the Museum’s “Finding Meaning” exhibition derives from the fact that, as American Atheists themselves acknowledge, there is no artifact showing a particular way that atheists, as distinguished from persons generally, tried to find meaning in the events of September 11. Insofar as American Atheists propose a plaque that would acknowledge that atheists were among the victims and rescuers on September 11, an objective observer would know both that such a plaque was not an “artifact,” and that it did not speak to the point of the exhibition section, i.e., how people found meaning at Ground Zero. He would further know that every victim of the September 11 and 1993 attacks is identified by name on the Memorial plaques without regard to religious affiliation, and depicted both visually and textually in the Museum’s commemorative display.